This week we're going to take a look at some super cute Mini Note Valentines. Mass producing Valentines is a smart use of time, but you don't have to sacrifice quality for quantity. With the help of our clever Die-namics and cute stamps, you can create a bunch of adorable little gifts for friends and family in a snap. 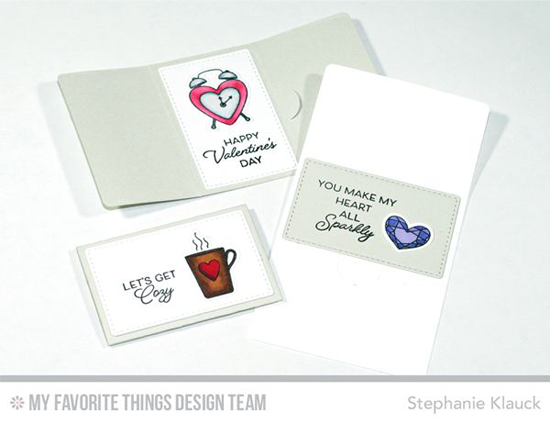 Today's video will give you a step by step of how to make some darling mini note Valentines using the Mini Note Die-namics and the All Heart stamp set and Die-namics, both from the Lisa Johnson Designs collection. Watch the video below or click HERE to watch it on YouTube. Wasn't that fun? 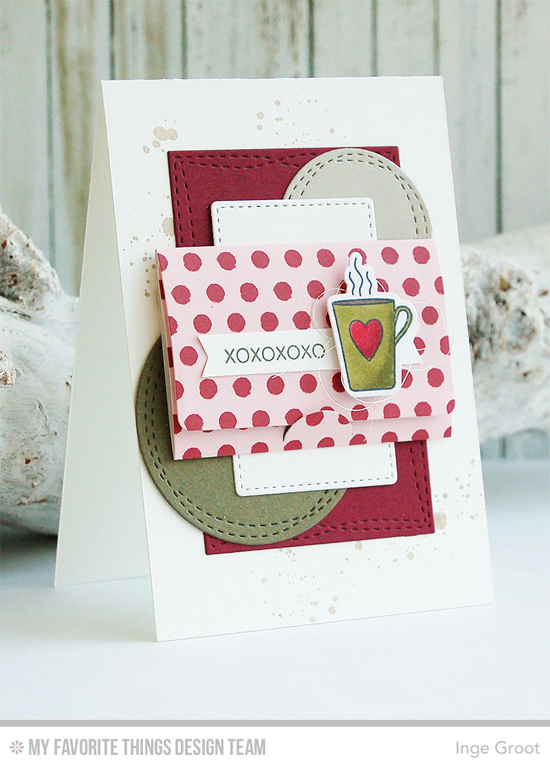 I love how she added the pretty background with the Mini Hearts background stamp to add continuity to the set, and the little touch of sparkle is absolutely delightful! Make sure to follow the My Favorite Things YouTube channel for more tutorials! Let's take a look at a few examples of other projects using the Mini Note Die-namics. 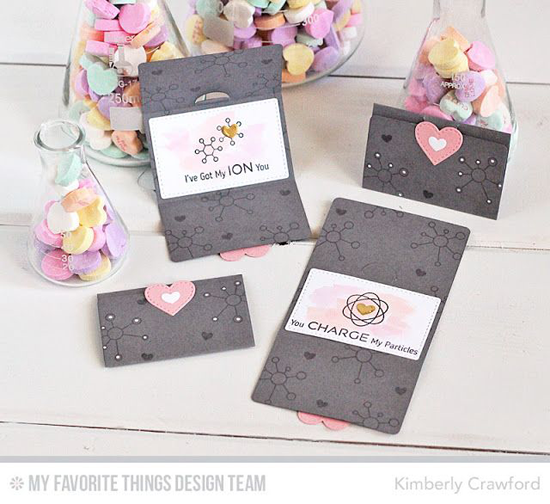 Kimberly used some of the stamps from the Undeniable Chemistry stamp set with the Mini Note Die-namics for a more masculine take on these little gifts. Inge uses the Mini Note Die-namics on the front of a card for a clever way to present a gift card. 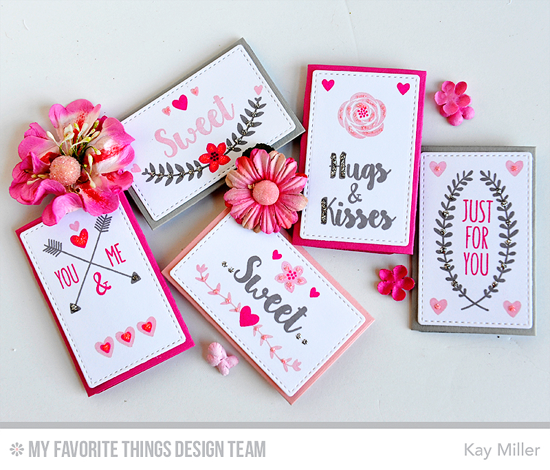 Kay pairs the Mini Note Die-namics with the So Much Love stamp set for this lovely collection of sweet sentiments. These are all so sweet and adorable, great job!! A clear demonstration that some of the finest things come in small packages. Brilliant projects. Cheers!